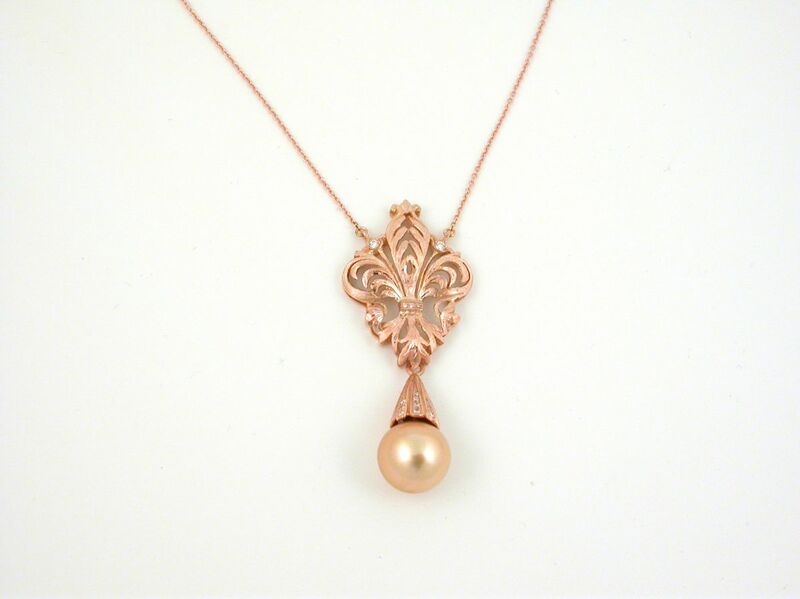 18 carat gold (kt), pink gold, 12.90 grams (gr). 15 diamonds brilliant cut, total weight 0.20 carat (G colour VVs clarity). Australian gold perl, 18.00 carat (ct). Size perl: 0.47 inches (Usa) | 12 mm (Italy). Length: 17 inches (Usa) | 43 cm (Italy). Codex: Etss.